…as the old saying goes. Its not just the grass that’s growing well here in the south of England. The spring flowers have started flowering too. Having looked at and admired them the question arises of how best to photograph them. If you want to get close-up to a flower you can stand at a distance and use a telephoto lens to simulate closeness, or you can really get close with a macro lens. They each have a different look, as the relationship between the subject and the background changes. 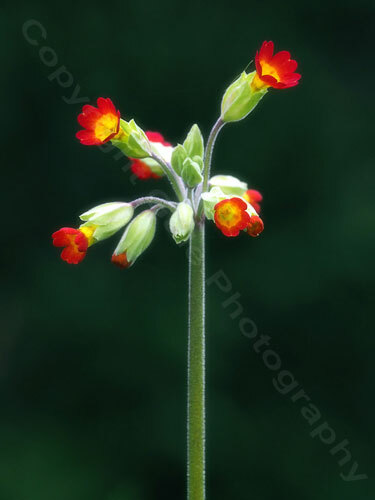 This lovely primula flower was growing in the lawn so I mowed round it. I got a plastic sheet and lay on the ground to get the best angle. The plastic sheet was to keep me dry! I used my 100-300mm lens set at around 180mm. That’s the equivalent of a 360mm lens on full-frame. The very diffuse background, a dark hedge, has appeared to come a bit closer due to perspective compression, but it’s nicely controlled. 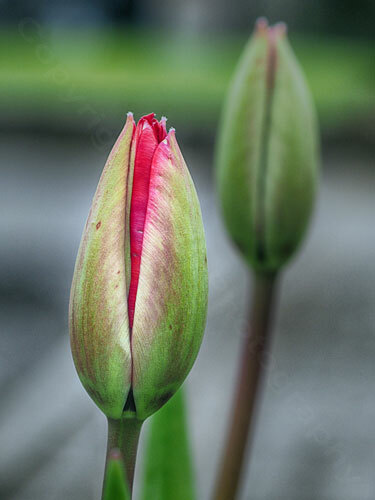 These tulips were taken with a 50mm macro lens, giving an equivalent focal length of 100mm. I had to get a lot closer to the tulips, and even at the same aperture as the telephoto zoom lens the background is less diffuse. This is due to the greater depth of field of the shorter focal length lens. There’s still enough focus separation to isolate the nearer flower though. There were reports in the media this week that the spring flowers might be over more quickly than usual. It’s best to get out and appreciate them while you can. Oh, and take some pictures too!